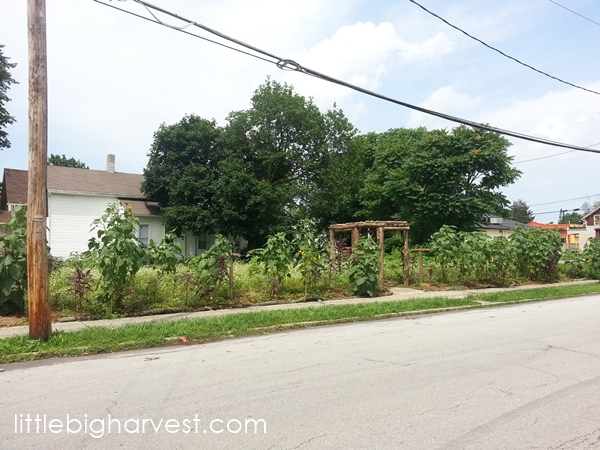 a typical urban empty lot. If you didn't see my original post about the Food Forest, click here to see how I got to be present at its 'birth'. What was once just a simple empty lot has begun a transformation beyond my wildest dreams...and it will only get more lush and beautiful as the perennial plants and trees reach maturity. 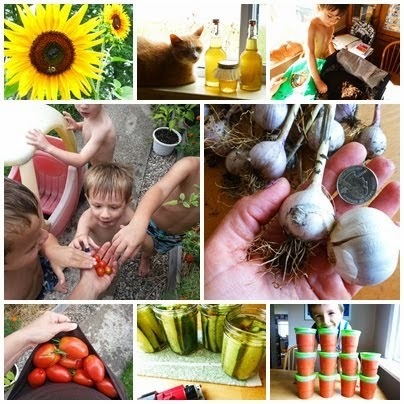 Since I first wrote about this magical place, the Young Urban Homesteaders--the dynamic couple who dreamed up the whole plan--launched their own website and included a page about their long-term vision. They described what a Food Forest is better than I ever could. You MUST click here to take a look! Here are a few photos I took this weekend showing some of the changes and growth in this humble and beautiful place. 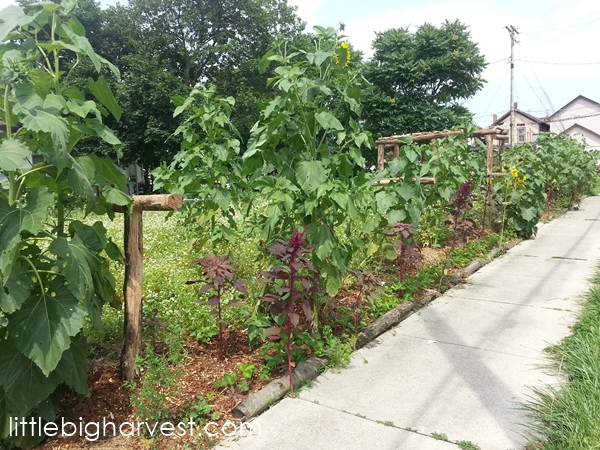 Sunflowers and amaranth thrive along the borders. From the far corner. Hard to see in the photo, but the hazelnut, pawpaw and seaberry trees are growing tall. You can see the raspberry trellis that the Young Urban Homesteaders have added. All the food plants (FORTY whopping varieties) are thriving! Wow, look at this! 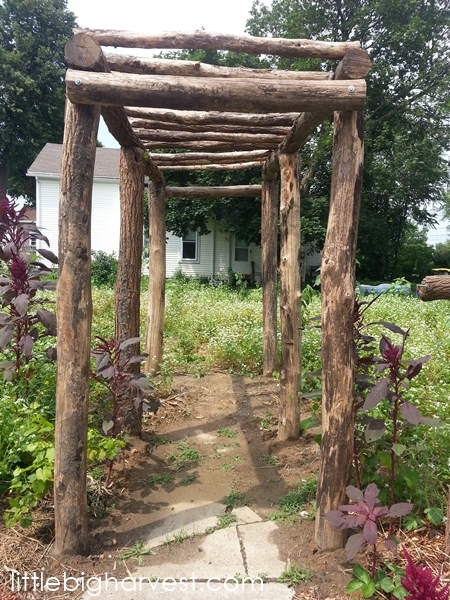 A sturdy, natural arch for the grapes and hardy kiwi plants to climb. I can hardly wait to see this beautiful structure fill out with life. 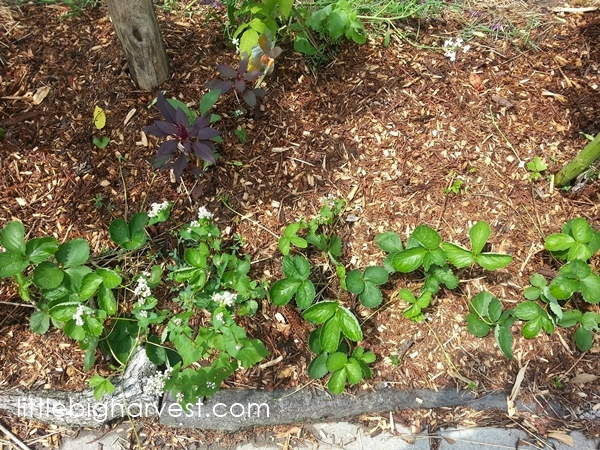 Strawberries along the entire front edge of the lot. The first of what will be many, many sunflowers this summer! 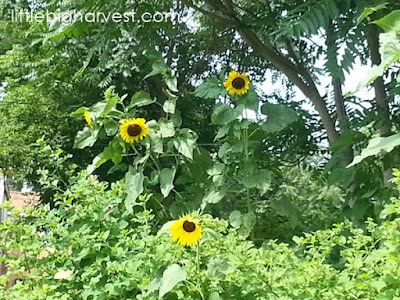 Food being most important thing for human survival, Farmers makes it possible. A food forest site has been included in the Bundoora Park Master Plan. 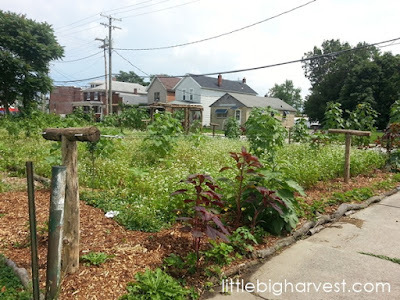 Food Forests can also be a low maintenance, highly productive feature of community gardens.